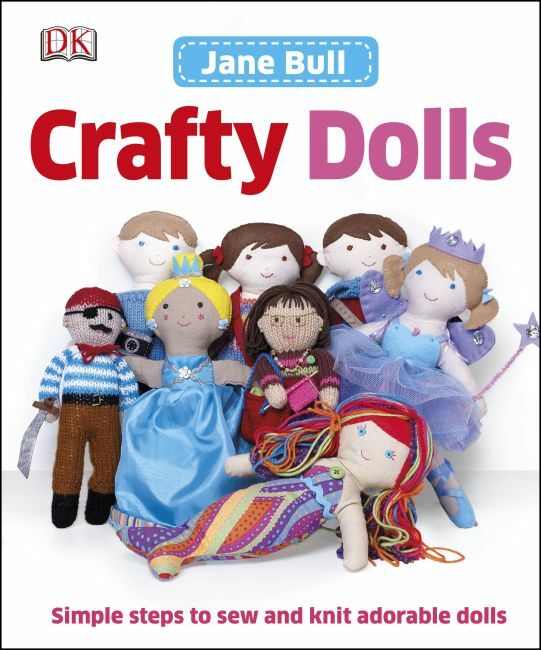 Make adorable dolls and inspirational ideas for designs and outfits with DK's new title, Crafty Dolls. In it, you'll find pretty patterns and basic templates. Full of ideas for how to make rag dolls, knitted dolls, and doll clothes. Learn basic skills to knit and sew an amazing collection of clothes for a rag doll's wardrobe. Make other outfits for all kinds of occasions: summer and winter wardrobes, party princess outfit, ballerina tutu, clothes for bedtime. Accessories - bags, handbags, hats, jewelry, shoes etc.